To help people who are between jobs to maintain their health insurance and that of their families. This is the Insurance Portability part of the act. To help protect the privacy of citizens with regards to personal and medical information, the so-called private health information. This is the Accountability part of the act. HIPAA gave American workers and their families the ability keep their health insurance when losing or changing jobs. Before the act was passed, it was very difficult for people with existing medical problems to get health insurance. Losing their job would sometimes mean they wouldn’t be able to get health insurance anymore. If they did manage to get health insurance, a long exclusion period would often apply. HIPAA successfully improved portability and continuity of health insurance coverage for American workers. 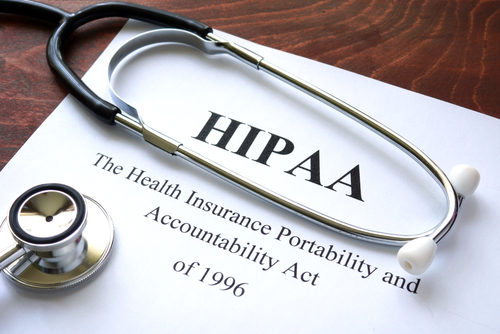 The Health Insurance Accountability part of HIPAA consists mainly of the Privacy Rule and the Security Rule. The HIPAA Privacy Rule applies to covered entities, which are defined by HIPAA as any health plan, healthcare clearinghouse or health care provider that handles health information in electronic form. Using or disclosing PHI for a person’s own treatment, payment, or other necessary health care activities. Disclosing PHI to another healthcare provider (whether covered by the Privacy Rule or not) if they require this information for treatment of the patient. Disclosing PHI to another healthcare provider for payment matters. Whenever private health information needs to be used or shared, the US Department of Health & Human Services website Health Information Privacy section states that it should only include the minimum PHI that is necessary for the proper functioning of the health care system. The HIPAA Security Rule defines the security standards that are to be adhered to by covered entities when health data is created, maintained, received or transmitted electronically. Physical safeguards: the data must be stored in a place that uses authorized access. There also have to be policies in place that govern the use of computers and data. Technical safeguards: Access control needs to be set up that makes sure only those with authorization can access electronic PHI. This includes unique user IDs for personnel, the use of an automatic log off system, an emergency access procedure and encryption. Technical policies: Integrity controls should be set up to make sure PHI has not been modified or destroyed. Offsite backups should be made and IT disaster recovery set up.